How much camera do you need? No, for once I'm not talking about how many cameras. Though my inadvertent collection is growing and for every vintage camera that I sell or give away, it seems two new ones await. Gear Acquisition Syndrome (known also by the unfortunate acronym of GAS) is real and many are afflicted. Don't make fun of us. We're fellow humans. We suffer. Ok. Maybe not that much. I'm wondering instead about how much camera you need. How big, how rugged, how professional-looking does it have to be? The question is simply this: How much is enough? Not just in terms of megapixels or high ISO capability, or flash sync speed, but in terms of how many functions you really need, as opposed to how many you want? I've been very happy these past couple of years with a Fujifilm X100s as my main digital camera. Very little of my work needs high frame rates or long tele lenses or something else the little Fuji wouldn't excel at. I picked this camera specifically because I wouldn't be able to buy all that many accessories. I ended up with the two converter lenses sold for the camera and I have been using them, but that was pretty much it in terms of going all out buying more gear. That was my system, and I had consigned myself to work around its limitations. Point-and-shoot. No pro would make this a main camera, but do you need much more for selfies? 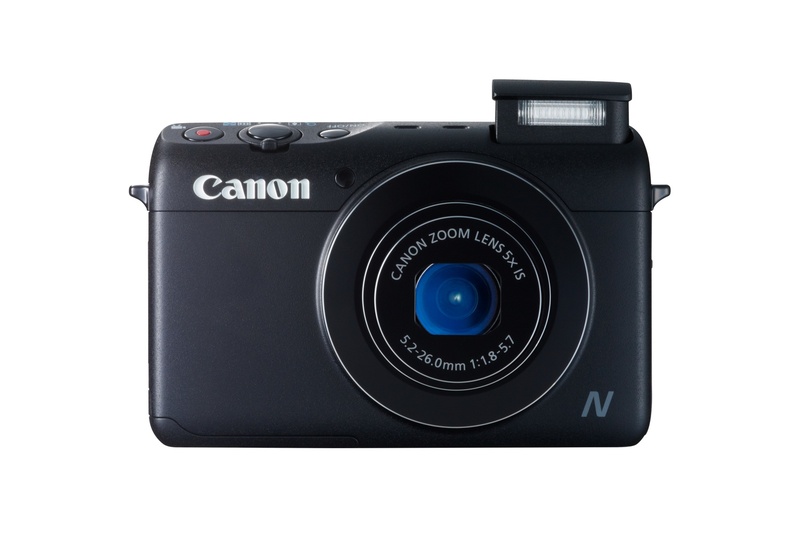 (Pictured: the Canon Powershot N100). There are many gradations of what makes a professional photographer. This is indeed a topic so hot-button that just broaching it with certain people can spark hour-long discussions. But what unites most such descriptions is that they include a professional’s relation to their tools: a pro picks tools, uses them, and makes them his or her own. But a pro is also able to use just about any tool handed to them and make use of it and get the best out of it when pressed to do so. How “much” camera you need, then, becomes a triangulation of what speaks to you and works for you, what you can afford, and what actually exists. Many discussions about gear include sentences like “if the D810 had a tilting LCD screen and was $500 less, it would be the perfect camera,” or “Fujifilm needs to make its X-series full frame, then it would be great.” The point, of course, is that it would in that case be great or perfect not as an ideal of a camera sent down from high heaven, but perfect for me. Great for the person making the statement. 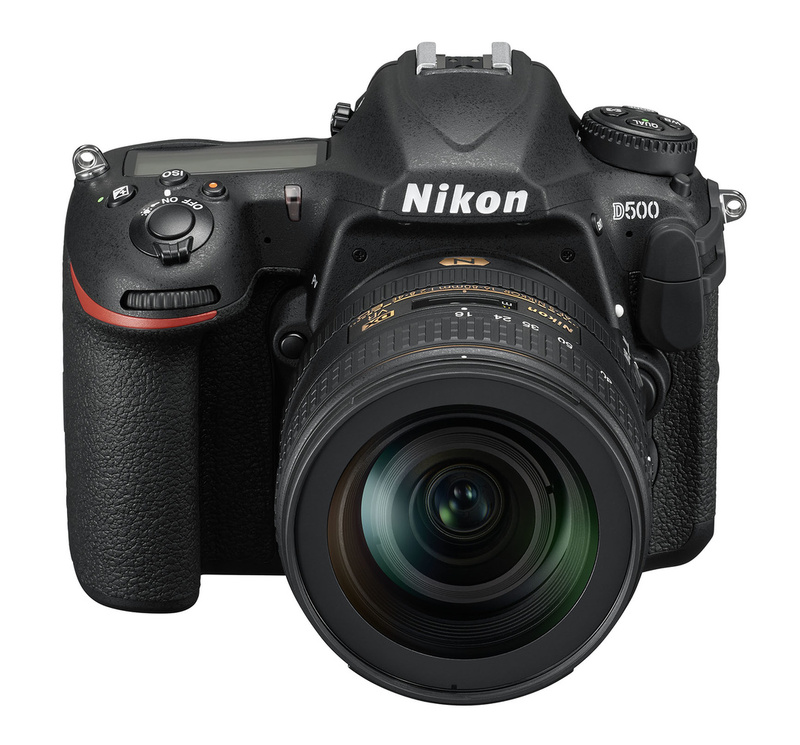 Nikon D500. An APS-C pro DSLR. Manufacturers have tried to cater to such needs since the beginning of the photo industry. This is why you will find a confusing mess of numbers and letters in the lineup of any camera maker. It’s a secret language, a code to decipher that will let you find the thing best suited for you, but only if you know its accents and dialects. To an outsider, there is little or no appreciable difference between a D7000 and a D700 (to not even speak of a D7000 vs. a D7100 vs. a D7200...), hardly a glint of understanding when you wax poetic how much the EOS 5D Mark IV has improved on the Mark III. But understanding the mess of nomenclature will only get you so far. To understand what it is you need as opposed to what you want is an endeavor that takes some time. You need to use different kinds of equipment to see if that equipment makes a difference to you. What it can do in terms of technology, but also how it feels in your hand and how it gets out of the way of you making the shots you are after. What your needs are. Are you shooting for magazine covers or for art galleries? Intimate portraits or cutting-edge blink-and-you'll-miss-it sports shots? 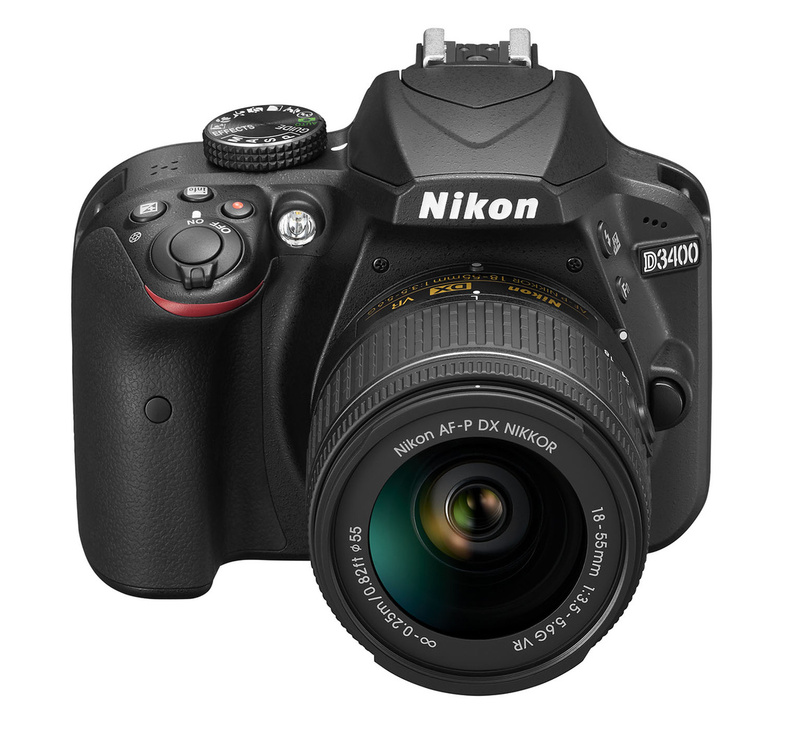 Nikon D3400. Example of a consumer SLR. Enthusiasts may want something better for many reasons, but whether that improves image quality is another question. For professionals who will miss shots and therefore miss possible future assignments, the needs are not necessarily the same as those of the enthusiast trying to get the best gear for the money. Where the enthusiast may save up for a new DSLR or lens, the professional calculates this in terms of business: would a new camera generate extra revenue, or keep me from losing the current clients? “Worth it” is a very personal decision, never a thing independent from the user or the use. I got my current passport picture taken last year by a photographer using a 2004 Canon EOS 1D Mark II DSLR and a non-stabilized 70-200/f4 lens. They were then printed out on a small photo printer and cut by hand. That was a set of tools perfectly suited to the job. Said photographer had no compunction about using this equipment despite photo websites and magazines having reported for over a decade what the newer, better tools that were now finally available made possible. Using a more than ten-year-old camera was what he did in order to provide a very specific thing for a customer, a thing that did not warrant a later, greater setup. When it comes to film, there’s a Leica on my shelf, but more often I reach for a midrange SLR when I don’t know what’s expecting me. I know the former makes me feel more artistic, but the latter will unerringly deliver repeatable results. What is the thing I am after at the moment? That’s the thing the tool needs to be able to let me do. 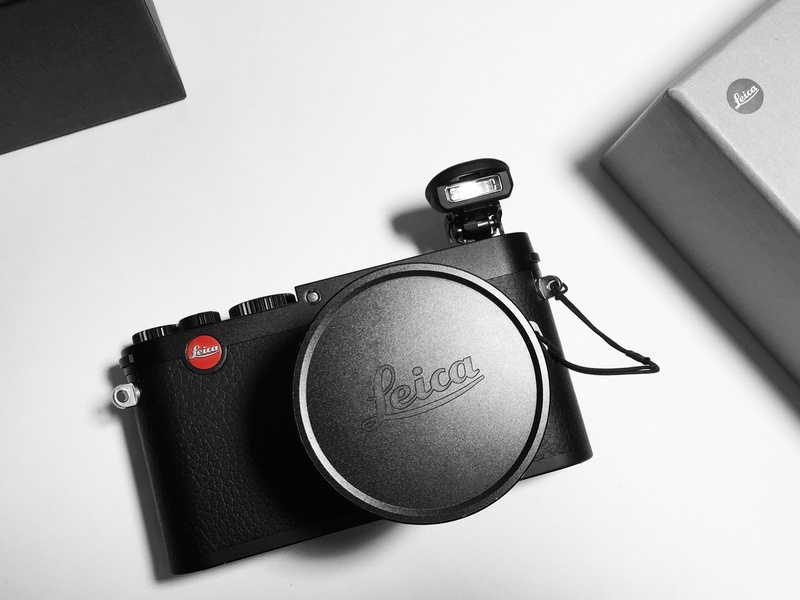 Leica X. Wanted? Yes. Photo by Pavel Fertikh. Whether your camera is a discarded point-and-shoot or a Hasselblad, whether your lens cost $100 or $20,000, in the end the they are the things that will enable you to take a picture in the first place. They are the chunk of glass between the world and the vision, the mechanical-technical contraption that saves light that once existed in a certain configuration for posterity. They are the tools you need at a certain moment for a specific thing. No more, but most certainly no less. 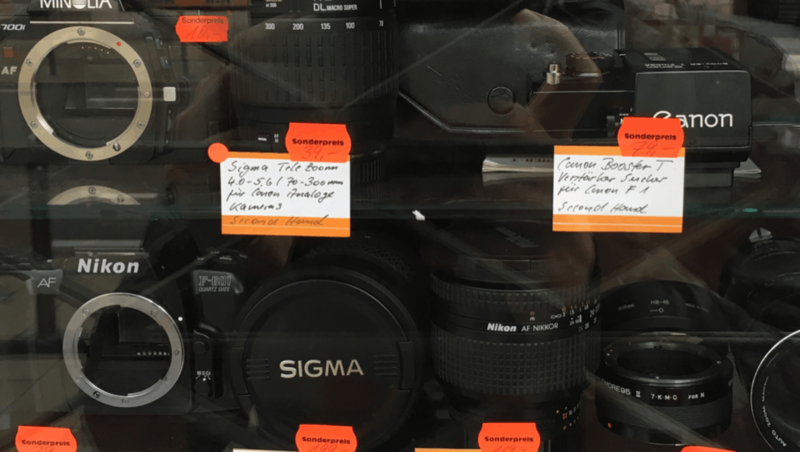 So before you look again at the manufacturer websites, the online shop portals, the trade show displays or the sales windows, ask yourself: How much camera do I need? Then make a pick, make a choice, and don’t be shy to upgrade to downgrade along the lineup if that turns out to suit you. Photo credit: Pavel Fertikh (Leica camera). The more interesting thing to discuss is everyone's "if only" camera, rather than what already exists. In other words, what we truly want. I'd be happy with one of the better Fujifilm cameras, but that doesn't use the X-Trans sensor. Oh, and the ability to take in-camera JPGs with the same image detail and grain as one can get from the default conversion of ACR/LR. In other words, no more soft and grain free JPGs!! Good article. We are to some extent seduced by the thrill of the new and in some cases, what's new really is a step forward. The only question that counts is how much of a step it is and whether it will really have a positive impact on your photography. Each individual will have a different answer. Personally, I've found that I've never fully utilized features found on cameras I bought years ago let alone more recent models. In truth, these days I'm happiest with a venerable Nikon F2 with one or other of its exposure meters and manual focus lenses. Simplicity is very appealing. Indeed, sometimes we all need to "keep it simple, stupid." glad to read your preference. today I shoot digital dslr, and in medium and large format, a sinar . . . with a zoom back. My favourite camera of all time though was and still is the Nikon f2. I owned a couple of them and they were all equipped with a standard prism finder (no meter . . . Minolta flash iv, and had forty five degree split rangefinder screens). It was, and still is, the most robust and reliable piece of gear I have ever owned. Lightweight with just the prism, no worry about battery failure, and they worked and worked and worked and worked . . . forever. Get as much as you can afford without hurting your investments or kid's college fund. Life is way too short. Well done. Just a couple of hours ago a guy I know was hankering after a Sigma Art 35mm f1.4 lens and a few dozen others like him were nodding and pointing out how fantastic the lens is. It is a fantastic lens but each one of these photographers shoot weddings, use those VSCO type filters and so many of their photos miss the focus despite having the latest camera gear. Overkill! That Sigma is fantastically sharp, but it doesn't AF as accurately or as consistently on Canon bodies as any of Canon's 35mm primes do. Its advantages are only apparent in real world usage when carefully manually focusing. I used to use the Sigma 35mm Art when I shot Canon. After I calibrated it using the dock it was the most accurate lens I owned. Either you or I missed the point of the article. I don't think he was suggesting people are getting more gear than they need but, rather, they should think about what they need and feel comfortable with and use that. Not more or less...just right. And, not addressed but equally important, it's nobody's business what anyone else uses or wants to use. for the last 7 years I've been shooting with my canon 60D, video work as well as photography, now I'm ready to move to a better system if I can find one, for me and my needs that camera paired with sigma 17-50 f2.8 canon 40mm f2.8 and a 70-200 f4 no is, is all of what I needed till the recently "need" of 4k for some projects, now I'm considering a sony fs5 (quite a leap I know) and a gh5, I hope the gh5 is good for stills as well as for video, if not I'm screwed! that with the two sigmas f1.8 zoom lenses, the main thing why I'm moving from canon to Panasonic is I do 80% video and only started doing my photography more recently about 2 to 3 years now, so my needs as a photographer maybe not as demanding yet, if it is, I'm saved, with the lenses as well since I'll order them with canon mount. It boils down to know your needs and now your budget. Traded Nikon D810 for Fuji X100F and do not regret it. It is new gear but I actually put money in my pocket with the trade. I have no problem with someone buying more than is needed, as long as the person separates "need" from "want." If you're not a pro, you don't need a camera at all. If you are you do, and what that need is depends on what you do. On the "want" side, if you can afford it from your discretionary income, then getting another camera, or light, or lens or whatever should be a decision no different from deciding on a new widescreen or a vacation somewhere exotic. I like it, I can afford it responsibly within my finances, so I'm getting it -- need is irrelevant. Another important point: If people who don't really "need" the high end cameras didn't buy them because they "want" them, those of us who do "need" them would find them much more expensive, or worse they may not be affordable, or even exist. When I was researching the DSLR to buy, I created a spreadsheet of the features of the film SLRs that I owned; the Canon A-1 and F-1N both shoot full frame, with their respective motor drives, the FPS is 6. With the then 2013 Canon stable, the closest match was the Canon 5D Mk III. Yea, I would've liked the 1Dx, but that is beyond my budget. Tricky question, but I think I'd need about one camera minimum for my photography, lol. I have a Samsung Galaxy S4, a Sony point-and-shoot and a Canon 7dMk2. My Sony goes with me when I go mountaineering, my Samsung does the job for everyday capture-the-moment photos, and when I go on holiday, I will sometimes make the effort to take the Canon to get special photos. 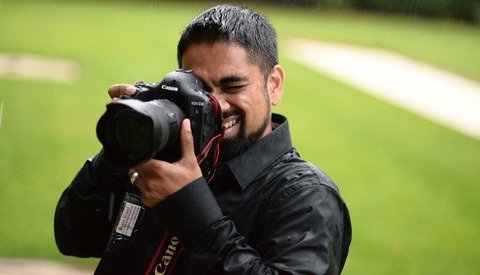 But to 7d or not to 7D, if you're not a serious or professional photographer, who cares? If you're not able to see a moment, the technology won't do it for you!